Makeup is Delicious!! 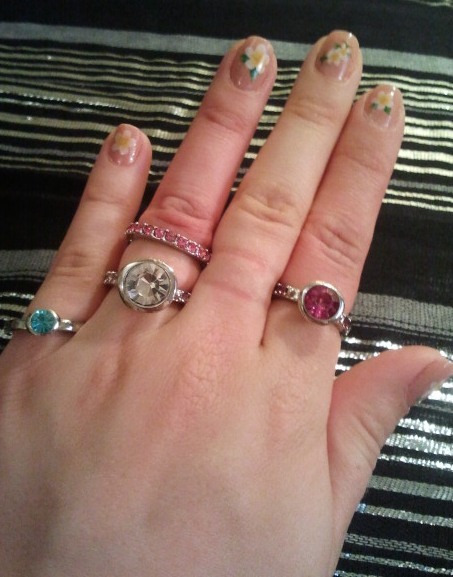 : My Ring Collection!! I store all of my rings on this wooden hand, which I purchased on Ebay. 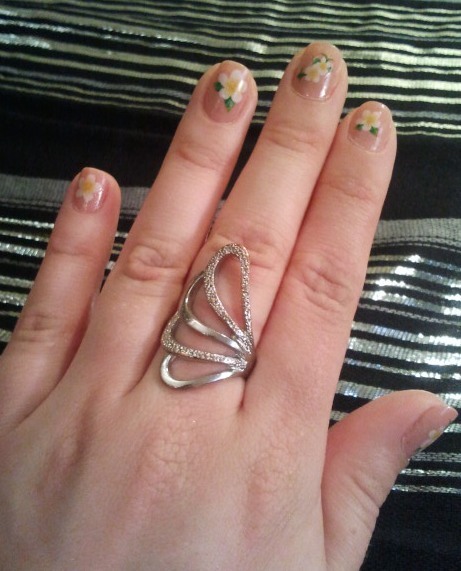 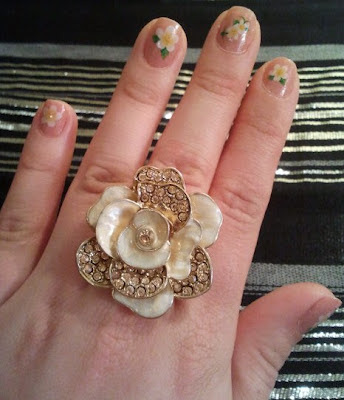 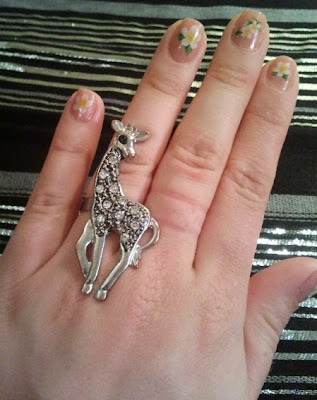 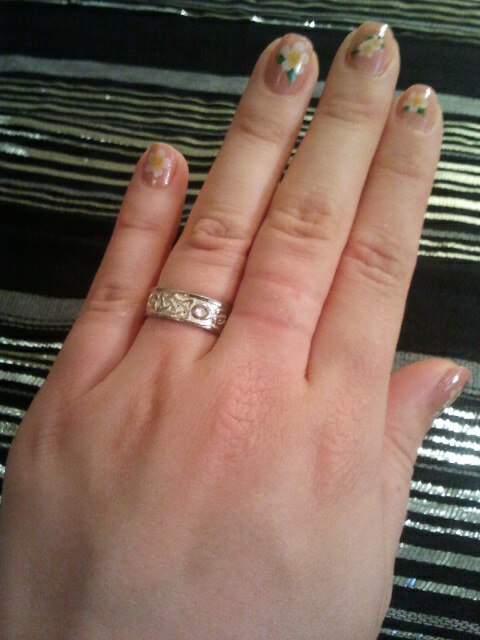 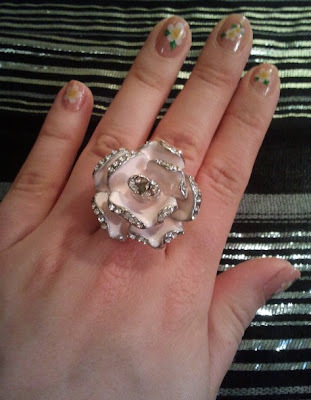 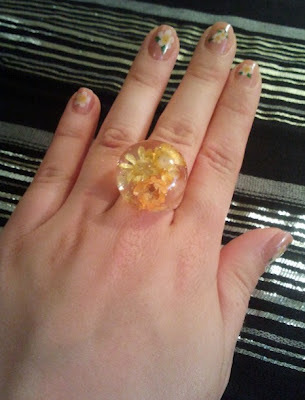 This flower ring was given to me as a birthday gift from my friend Annie :) It's from Forever 21. 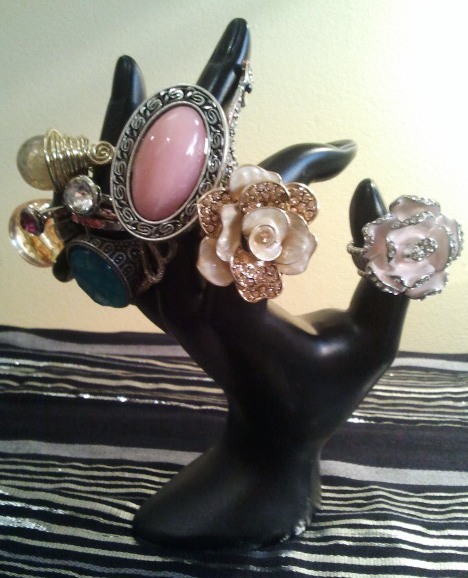 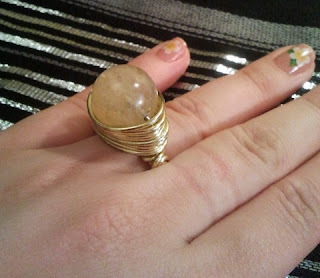 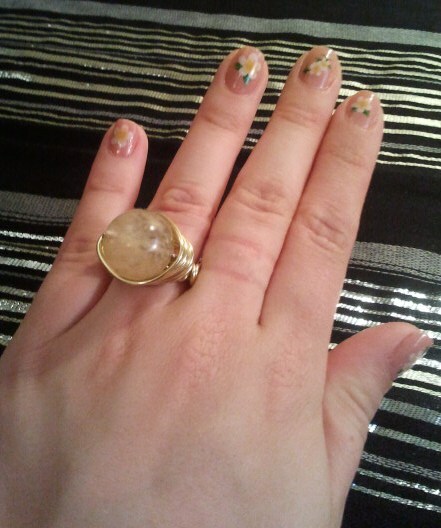 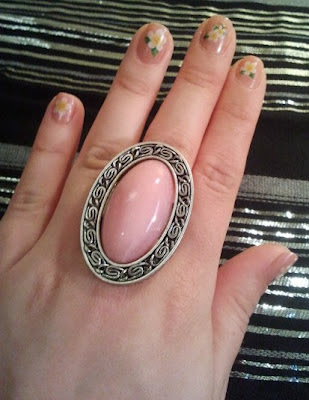 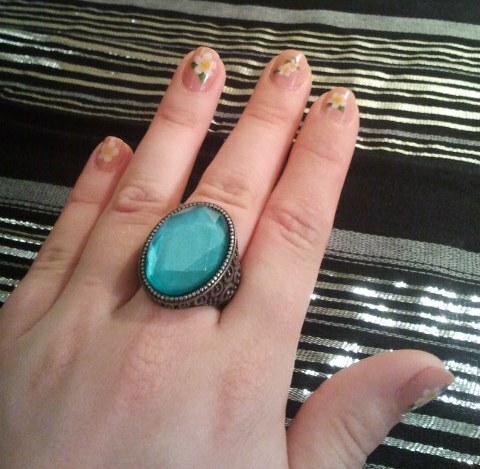 These faux stone rings all came together in a set (Call It Spring). 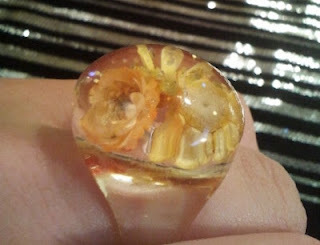 Yellow flowers bubble ring (Dollarama). Blue gem cocktail ring (Avon). 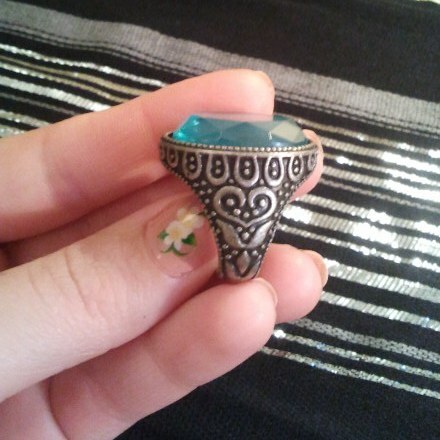 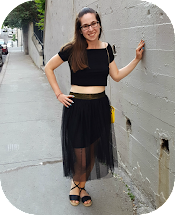 I love the side detailing!